Nothing purchased this week! woohoo! 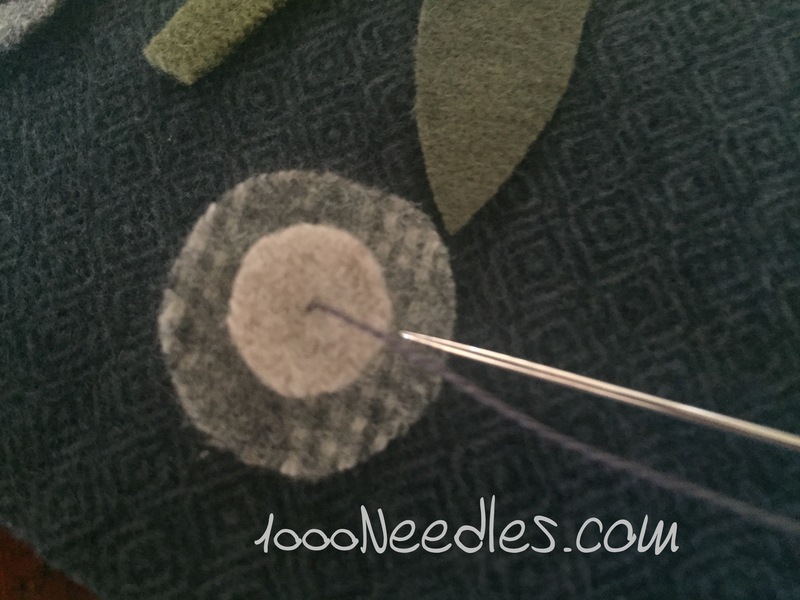 And for Slow Stitching Sunday with Kathy at Kathy Quilts, I plan to work on A Rainbow Garden again today! So I took a break from this project a bit. After I finished block 4, I prepped block 5 by tracing all the parts onto freezer paper, pressing them onto the fabric and cutting all the fabric to make all the pieces. Then 2 weeks went by. 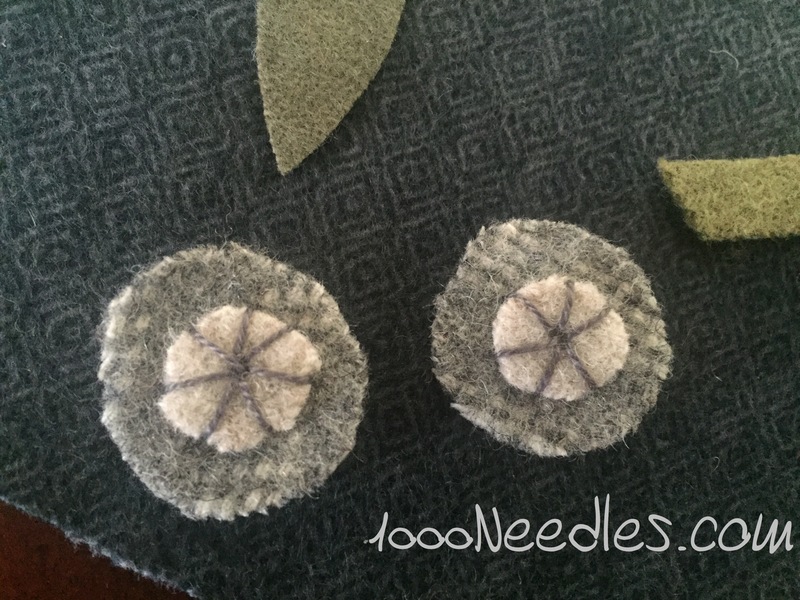 This week, I really enjoyed getting back to the project and hand applique’ing the bits. I didn’t follow the instructions though. 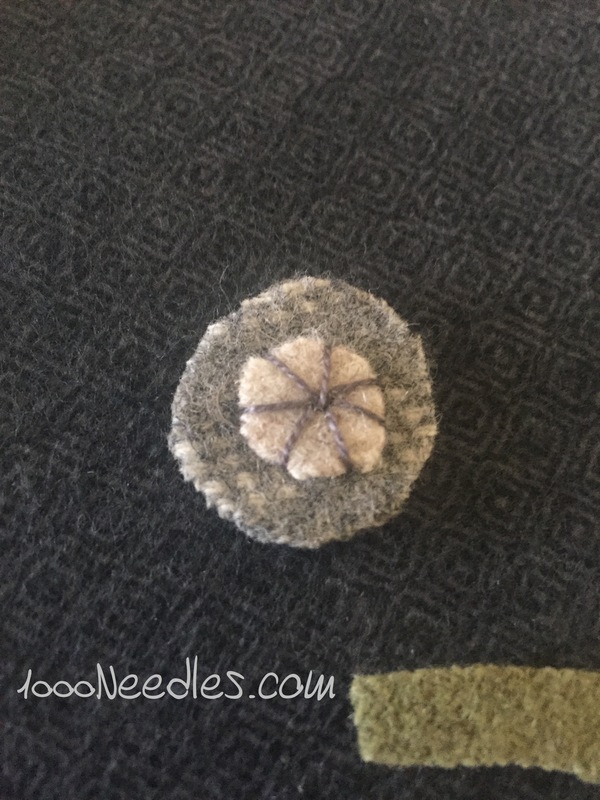 The first thing I was supposed to do is applique down the stem. 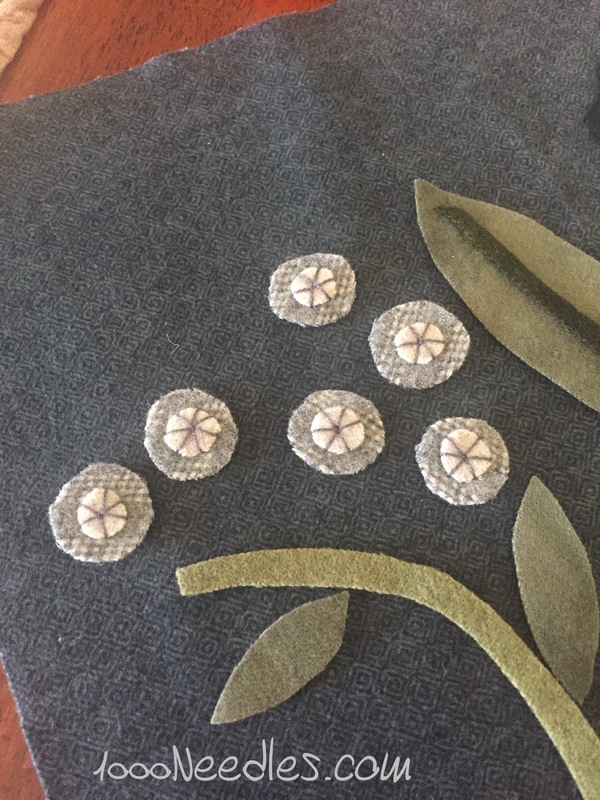 Instead, I decided to start with the top pieces and applique them to their parts. So I started with the little flowers. and next thing I know, all 6 flower buds were done. I really am enjoying my handwork at the moment. Those tiny flowers are adorable. That is where I would have started too. Thanks for linking up with Oh Scrap! Your block is beautiful. 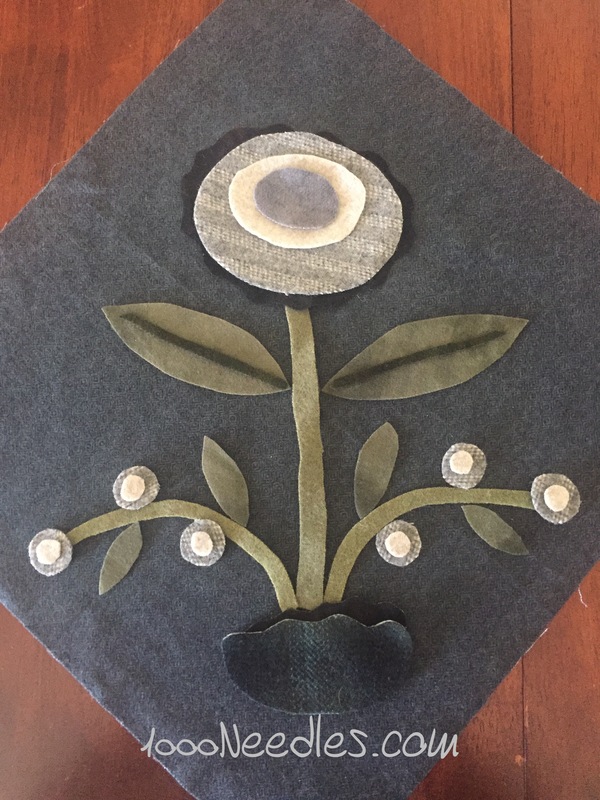 I’ve never appliqued with wool but I like the idea of doing the centers of the small flowers before stitching the finished flowers to the blocks. I wonder if that would work with cotton…. Thanks Nancy! 🙂 I think it would work with cotton too. I’ve done this with Raining Cats and Dogs and it makes it easier dealing with the little bits. 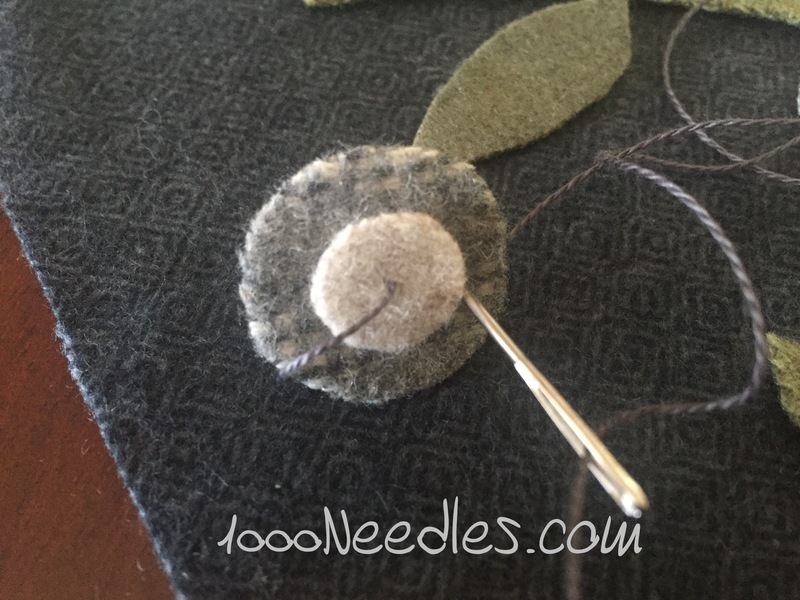 If you sew the way you want to sew instead of following the instructions, it makes it YOURS. I enjoy doing my own thing. 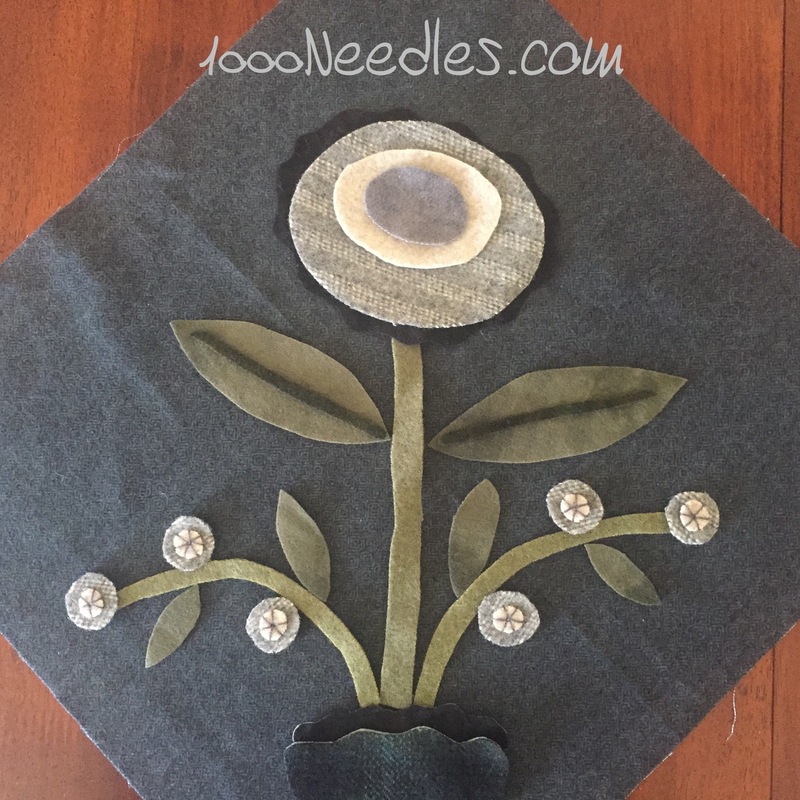 Such a pretty block… love the texture of the flower buds! I really enjoy the subtle colors here!